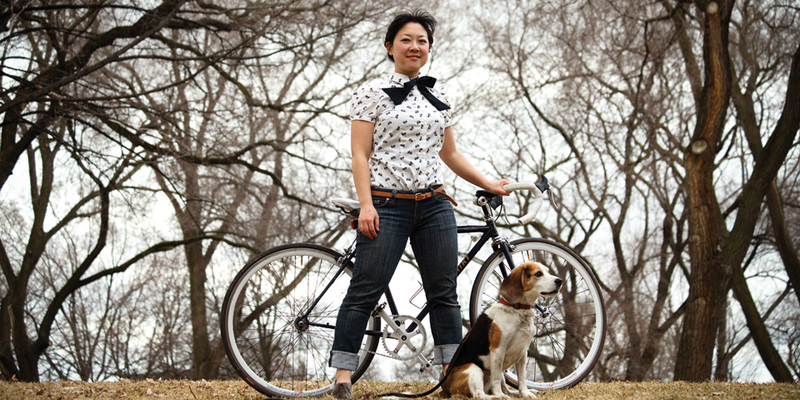 Who : Hyedie Hashimoto, founder of the Toronto Cupcake Ride, a group ride for women that stops at bakeries for sweet treats. Tricks : I can ride with a cupcake in right hand while left hand steers, brakes and at times rings my bell! Tips on riding in Heels on Wheels? Well, I think it's better to bike because it reduces the time I have to walk in them. Pedalling in heels doesn't hurt your feet. Being short, I used to live in heels (especially when I drove everywhere) but sadly it has taken a toll on my knees and sometimes my knees get sore for no apparent reason. And no it's not because of my fixie riding - these knee pains happened before I had my fixie! 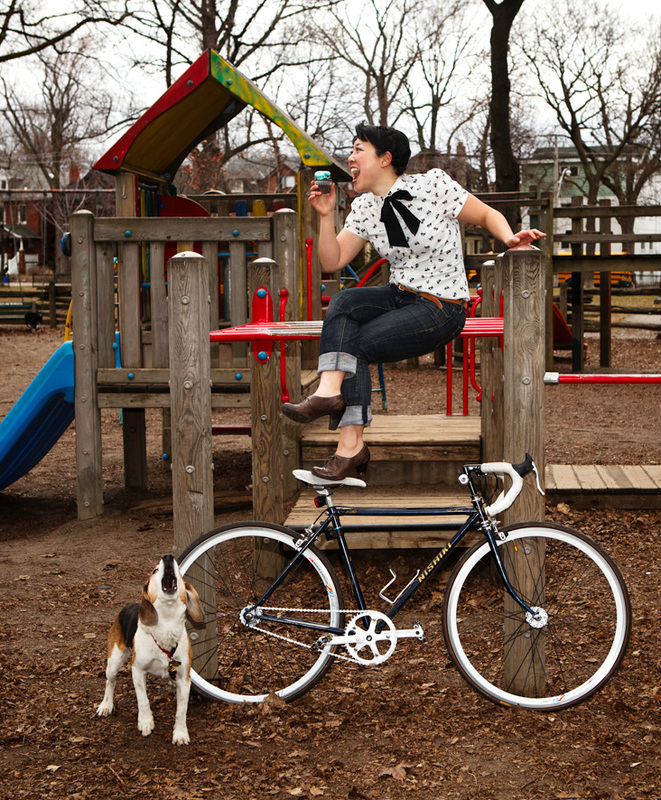 The theme for our sixth issue -- launching May 30 at the Gladstone Hotel -- is that Bikes on Bloor are good for business. Do you think bikes benefit the local economy? Bikes help the local economy because it is a way better way to explore the city -- you can take so much more by bike than when you are in a car. You can see our full interview with Hyedie in our Spring 2011 issue of dandyhorse.